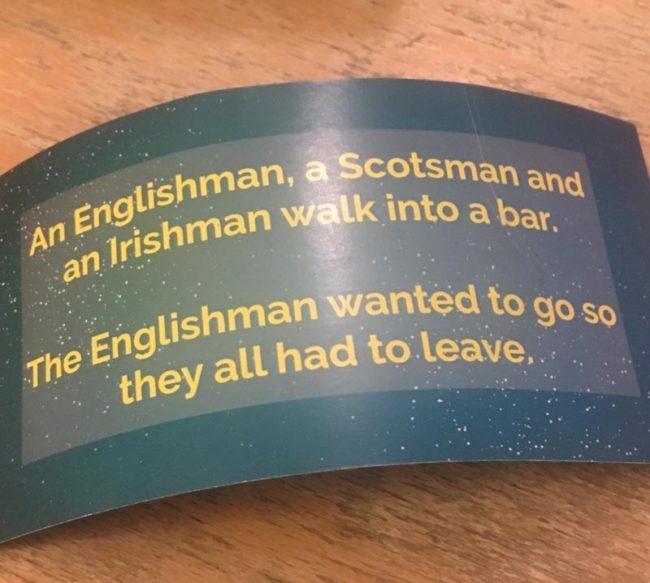 On a side note, I was chatting with the beer steward at a local grocer (they have bars in grocery stores here) and a gent from Manchester and they both confirmed that the Irish have come by their reputation incorrectly–it’s the Scots who can drink the entire world under a table. Except, perhaps, attendees at a Russian wedding. You Tube has a lot of footage.